Hot news of the week! Our little polar bear cub is getting her big girl teeth. The upper two chompers have emerged as well as the four bottom in the front. I should be finding little Euka molars on the carpet soon. [sniff] She's growing up right before our eyes. Ah, but the best part about puppy teething is the adrenaline rush from seeing blood splatters on playing puppies. But instead of checking for puncture wounds incurred by two playing puppies, we look into the dark abyss of a puppy maw to see who has bleeding gums from a newly missing baby tooth. The second best part, I think, is how those top two teeth make her look like a Count Orlok puppy*. Which leads us to the next obvious thought. If a vampire had a dog, what would they name it, do you think**? *Movie trivia: Nosforatu 1922. I'd apologize for the obscure movie reference, except this is a Classic, people. And the old fellow had some funny looking teeth now. **I recall in an Anne Rice vampire novel a German Shepherd adopted by one of her venipuncturing protagonists in New Orleans. Bonus points*** if you know the name of the dog. Extra bonus points if you can explain to me why my family wouldn't let me name my own GSD that same ultra cool name. Because I can't answer that one. ***By Bonus Points, I mean Thanks for leaving a comment. We're on a tight budget here. Hi Oz, our terrier friend. Yeah, those are some pretty teeth coming in. The other dogs are glad to see the end of the needle teeth. 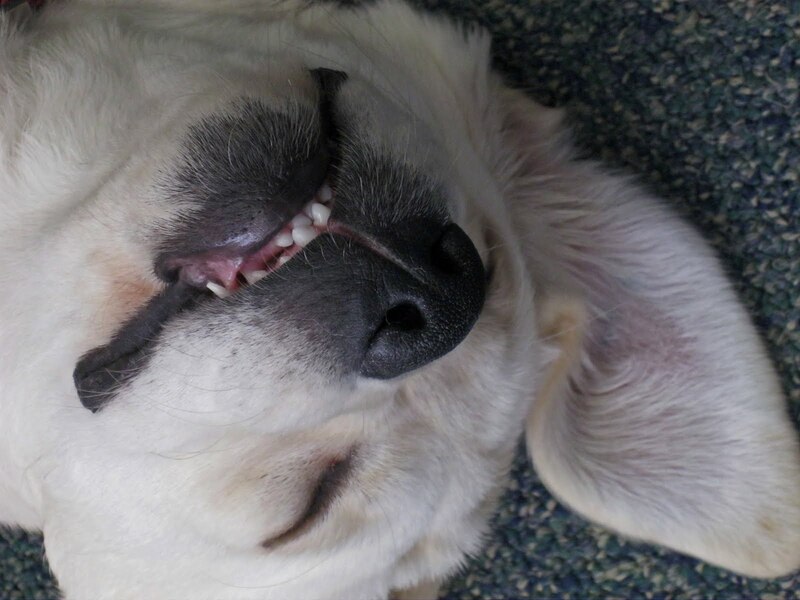 Those puppy chompers leave quite a dental imprints on their soft body parts. Hi Melody, can you believe the E's are almost four months old? We'll get up a birthday post this weekend to celebrate. Maybe Fang would be a good name for a vampire's dog? Debbie, Fang would be an *excellent* name for a vampire's dog. I love it! The answer to the Anne Rice question is Mojo. I still can't explain why I got vetoed on that name for my remarkably handsome German Shepherd. Musical artists - if you wish a different way to Pet names for girls, annihilation beats allotment them afterwards acclaimed agreeable artists. Musicians are the apotheosis of coolness. If your angle can appearance appreciation.